Sometimes something as simple as a t-shirt can save a life, and that's exactly what happened to a man named Robert Leibowitz a few years back. He had been suffering from chronic kidney disease for years and was desperate to find a kidney donor. 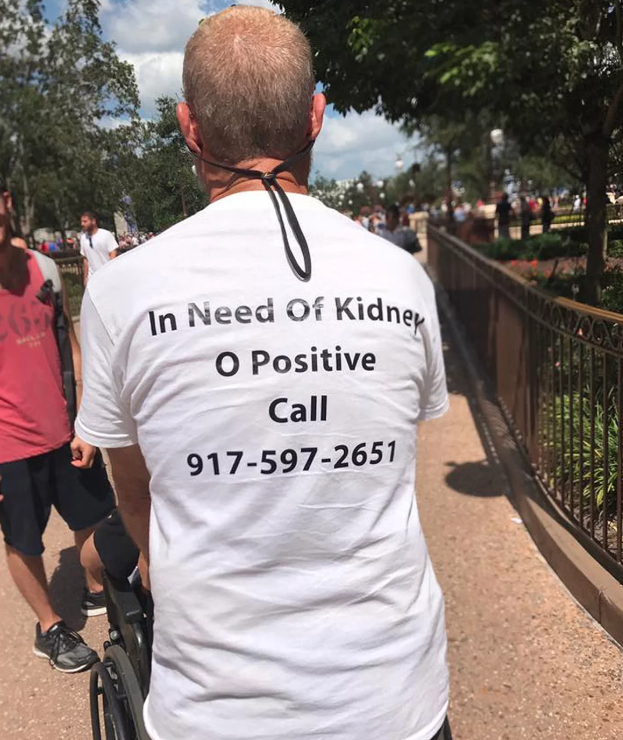 So when the 60-year-old New Jersey man took his five children to Disney World, he decided to wear a t-shirt that read: “In Need Of Kidney O Positive Call 917-597-2651". 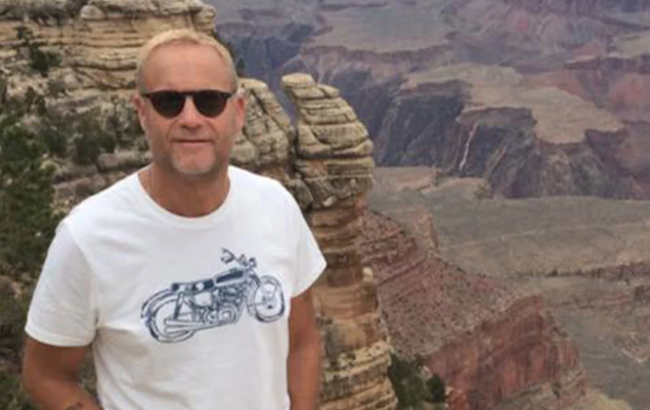 Apparently, Leibowitz was seen meandering the park when a woman stopped him and asked if she could take his photo and share it on social media. He said yes, and by the time they were boarding the plane to return home the photo had 40,000 shares, at least that's what Leibowitz son told PEOPLE Magazine. Not long after that, he received an avalanche of calls and texts. Of those, five people were tested, and one was deemed the perfect match. That person was a man from Indiana named Richie Sully. It was also reported that Sully drove several hours to be tested for the match. When NBC New York reached out to Sully, all he had to say was, "I never really thought about it. I just saw that this guy needed help, and I obviously have an extra kidney." He then added, "People need to realize that you can live with one kidney," he said. "You can donate a kidney, you can live to be 100 years old -- and you can be a hero." In fact, kidneys from living donors tend to function for 15-20 years whereas kidneys from deceased donors tend to last about 10-15 years, at least according to the American Kidney Fund. So as you can imagine, living donations are encouraged. And as you could imagine, Leibowitz's expressed sincere gratitude saying that his kids are "the rocket fuel that keeps him going" and that "it's just a miracle. It's unreal". Leibowitz told news outlets that he planned to return to Disney along with his family and the two strangers that saved his life. If you've ever thought about donating a kidney, or you just want to learn more you can find all the information you need at kidney.org. What are your thoughts? Have you ever donated a kidney and want to encourage others? Let us know in the comments below! Check out all of the new restaurants coming to Denver in 2019!